The 3rd generation Lexus IS completely hit the car industry by storm, as the new facelift and sleek design have made it a very popular choice among car enthusiasts as well as regular drivers as well. A very popular trim in the IS line is the F-Sport Performance Trim, which many drivers opt for due to its sleek styling and performance enhanced drive. However, one feature that’s noticeably missing from the IS F-Sport is a set of fog lights. 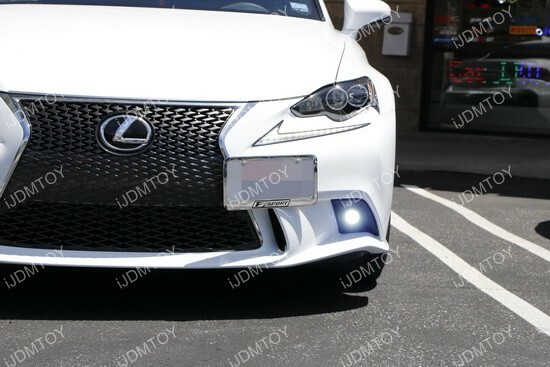 Fortunately, that is quite an easy fix with these Lexus IS F-Sport LED Fog Lights that are a direct fit off the stock lower bumper garnish bezel that will make any USDM IS F-Sport look like its JDM counterpart. 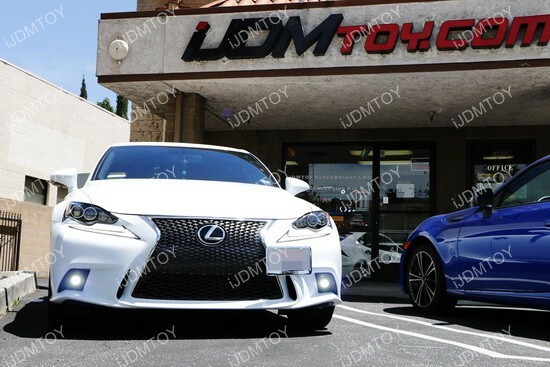 This Lexus IS belongs to one of our customers who dropped by our storefront to give him F-Sport a new look. The new direct fit LED fog lights blend in seamlessly with the rest of the vehicle and it looks like the car came standard with fog lights. 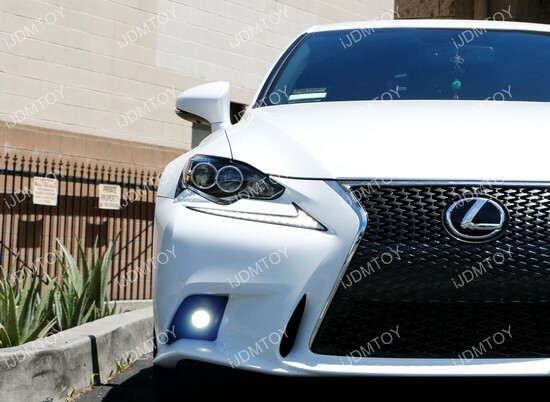 These Lexus IS F-Sport Fog Lamps are definitely a must-have upgrade for the driver who would have liked to have stock fog lights, but wanted the F-sport trim as well. 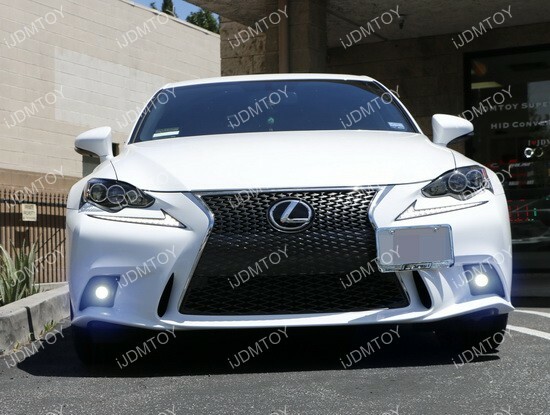 This entry was posted in - LED & HID Updates, Lexus and tagged car lights, car parts, cars, F-Package, F-Sport, fog lamps, fog lights, iJDMTOY, IS, IS250, IS350, JDM, LED, Lexus, Lexus IS, sedan, USDM by Shari. Bookmark the permalink.